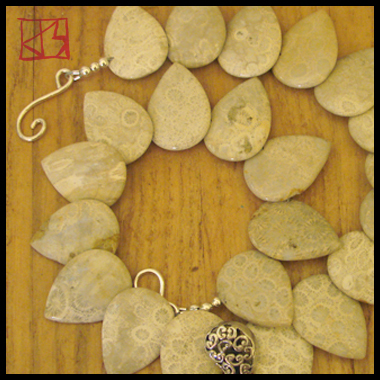 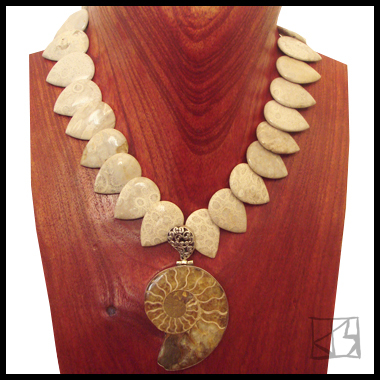 Smooth petals cut from fossilized dark white coral beds have their own intrinsic beauty with flower-like patterning, leading here to the fantastic centerpiece � a large, excavated ammonite fossil from exotic Morocco. 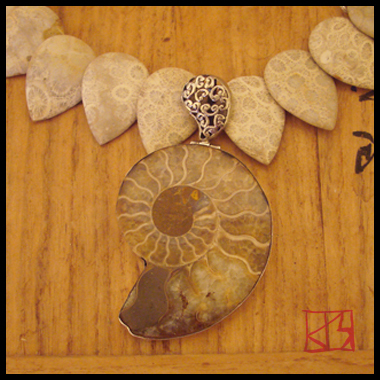 This ancient nautilus shell has its own quiet secrets in every chamber in opalized ambers, yellows and other earthy tones. 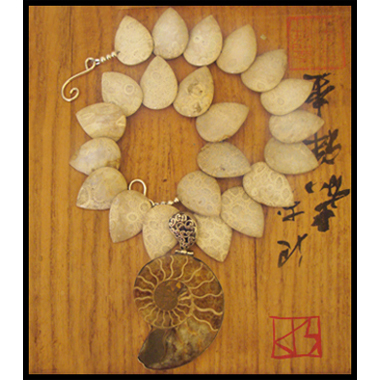 A beautiful piece of prehistory unearthed to bring your own inner nature to the surface...!